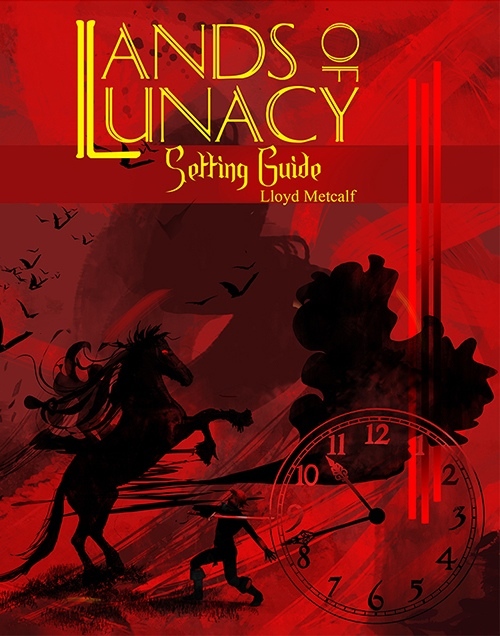 Lands of Lunacy - A tabletop RPG Setting Guide for 1E or 5E is from +Lloyd Metcalf 's Fail Squad Games. Lloyd has produced 6 prior RPG related Kickstarters and I've backed them all. Yes, I am a happy backer. So, what actually is Lands of Lunacy? The Lands of Lunacy setting, a place created from chaos and consisting of limitless dimensions connected to limitless planes. Herein, domineering lords rule domains interconnected by webs of lunar gates surrounded by the utter madness of the Chaos Void. The price of entry may be your sanity, or even your life. The rewards are immeasurable, and every domain brings new possibilities, rewards, and challenges. My only question is do I back high enough for a piece of original art from Lloyd? Decisions, decisions. In the sample adventure included, the key magical item of the quest is a mystical Stone of Order. Pyramid stone of unknown power. You can get a Stone of order with your adventure and setting guide if you act fast (Limited Quantities). You not only bring the lunacy to the table.... but the actual magical item from the quest at hand!! Is it a gimmick? Sure. Is it cool? Yes. Always go for the art!